Emergency Response & Incident Management Software. Lightship gives you better situational awareness and makes it easier for people to use incident command processes (ICS) in your emergency operations center (EOC). 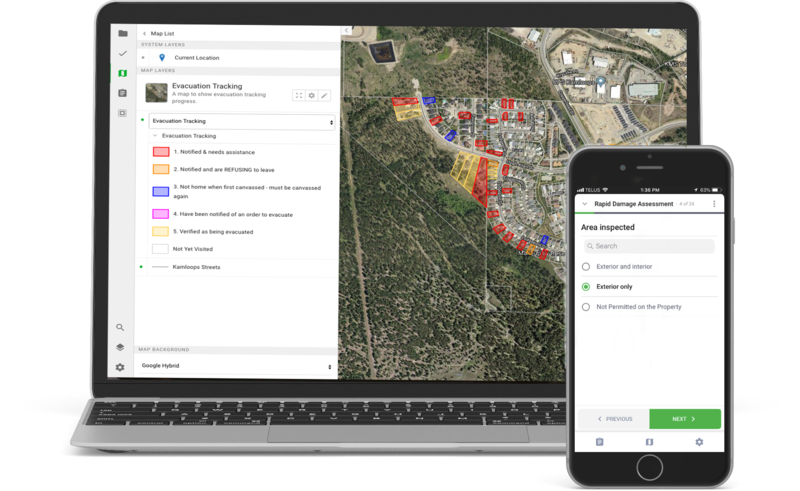 We combine updates from responders with infrastructure, weather, sensors, and real-time tracking of people/equipment into a simple interactive map, then guide ICS processes with forms, tasks, and integrated communication tools. Lightship gives you better situational awareness and makes it easier for people to use incident command processes (ICS) in your emergency operations center (EOC). "During emergencies, Lightship gives us an easily accessible tool to bring situational awareness from the field back into our EOC, in a timely fashion, so that we can get the appropriate information to our decision-makers." ﻿Why use Lightship for emergency management? Lightship is designed so that EM professionals, responders, and volunteers can become confident with minimal training, even in stressful situations. Lightship’s web & mobile applications give you access to the information & context you need, whether you are at the EOC or in the field. 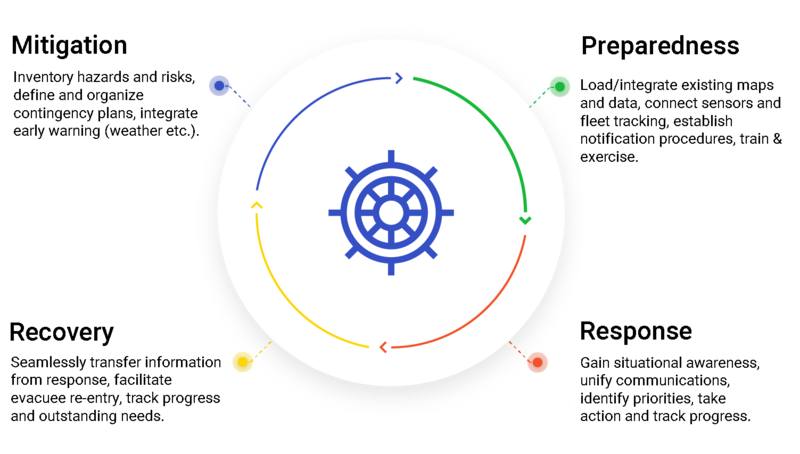 Lightship pulls information from multiple individual systems, providing a comprehensive view of considerations, tasks, and communication. ﻿Better information with less manual work. Know what is happening and who is on-site. Know what is happening and who is on site. Get real-time updates from responders containing text, photos, and other media. See the location of responders, equipment, and deployed assets/equipment in an easy-to-use Common Operating Picture. Integrate with existing systems such as GIS and fleet management to have live access to the best-available information when a critical incident occurs. Interactive forms and reports make ICS easier. Use interactive forms (eg. 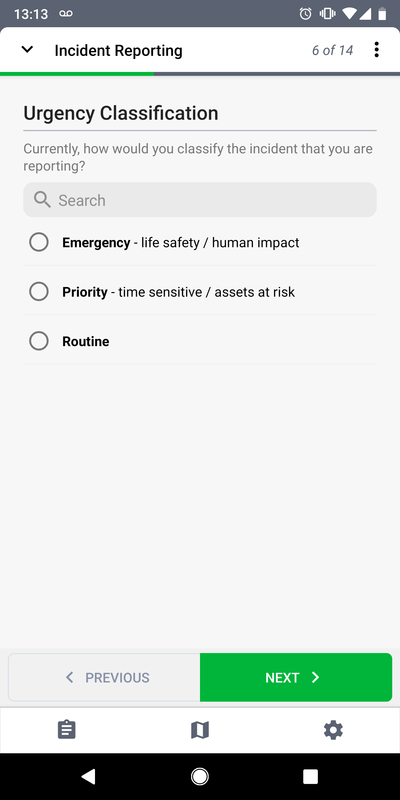 resource request, incident report) that can intelligently show/hide questions based on user input and automatically pass information along to tasks for the appropriate ICS section. Automatically generate summaries to inform planning and situation reports. Monitor tasks for individuals and teams. 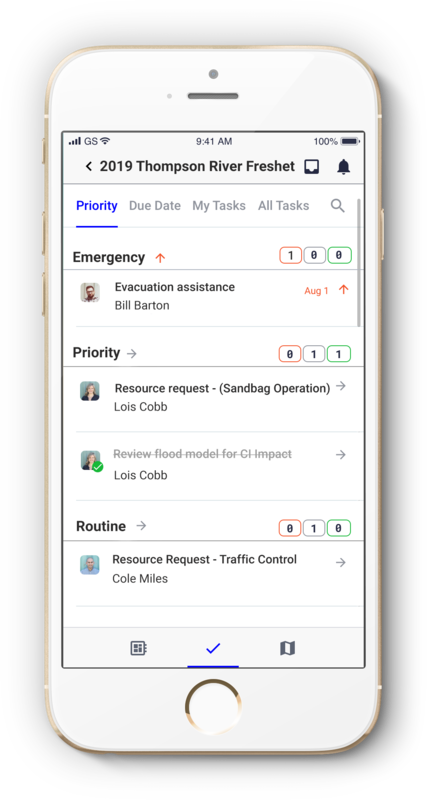 Easily understand the overall amount of work in progress and prioritize certain response activities using tasks lists for each ICS section. Get updates on progress by ‘following’ tasks or joining the task-specific conversation channel. Find the best person for any situation. Quickly search for individuals or groups of people based on their skill sets, training, ICS section, or location. Unify communications for teams & tasks. Call or text with other responders using auto-generated conversation channels for individual teams and tasks. Clarify task details and coordinate activity in a clear, documented way. Monitor the safety of responders. 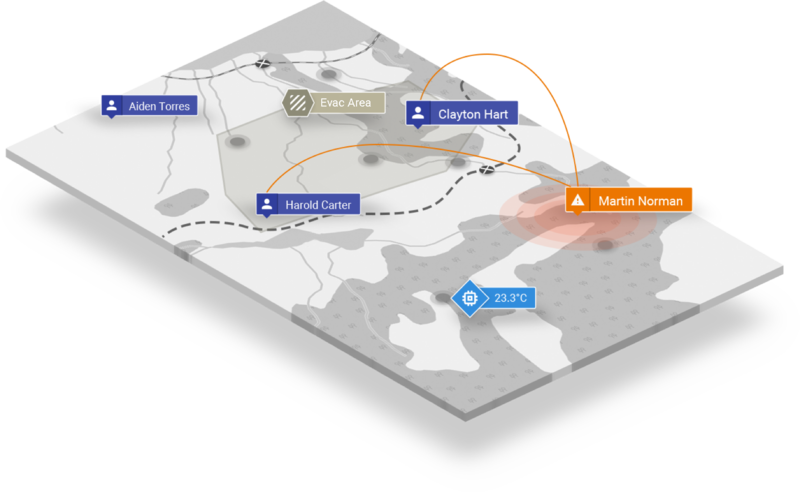 Automated notification and response initiation for missed check-ins and alarms keeps your people safe while they are in the field. Automated notification and response initiation for missed check-ins and alarms keeps your people safe. Support all phases of emergency management. Let us show you how Lightship can improve emergency management.